The second phase of the Indian Super League will kick-start from January 25 with Kerala Blasters hosting ATK in Kochi, the league organisers have announced. NorthEast United will then play against Chennaiyin FC in the Indira Gandhi Athletic Stadium in Guwahati. 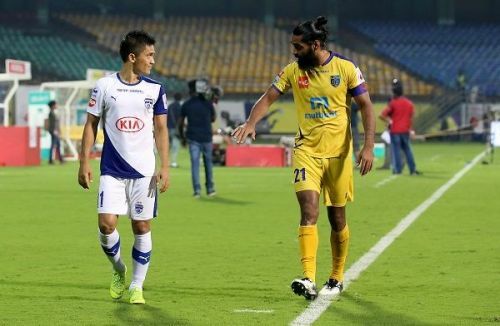 The top two teams of the ISL will renew their rivalry on January 27 at the Mumbai Football Arena with Mumbai City FC looking to cut Bengaluru FC's lead at the top of the table. Bengaluru FC lead the table with 27 points in 11 matches and Mumbai are three points behind them, having played a game more. FC Goa and NorthEast United both have 20 points and make up the top four. BFC, the runners-up last time around, play their first home game on Jan 30 against NorthEast United. FC Goa also face Jamshedpur FC in the first week at the Fatorda Stadium on Jan 28. Barring BFC and Goa, the rest of the teams have played 12 games each. The league stage concludes on March 3 with ATK hosting Delhi Dynamos at the Salt Lake Stadium. All matches will kick off at 7.30 pm IST and will be broadcast on Star Sports Network, Hotstar and Jio TV. The dates for the playoffs will be announced at a later date. The league went into a break after the Mumbai City FC vs Kerala Blasters game on December 16. It was to ensure the Indian national football team gets ample amount of time to prepare for the Asian Cup 2019. India did well in their opening game against Thailand, winning 4-1. But they lost their other two Group A matches against UAE (0-2) and Bahrain (0-1) to bow out of the tournament in the first round itself. Twenty-two of the 23 players in the national team play in the ISL. The other, Salam Ranjan Singh, plays for East Bengal. Interestingly, the I-League did not have a break like the ISL.